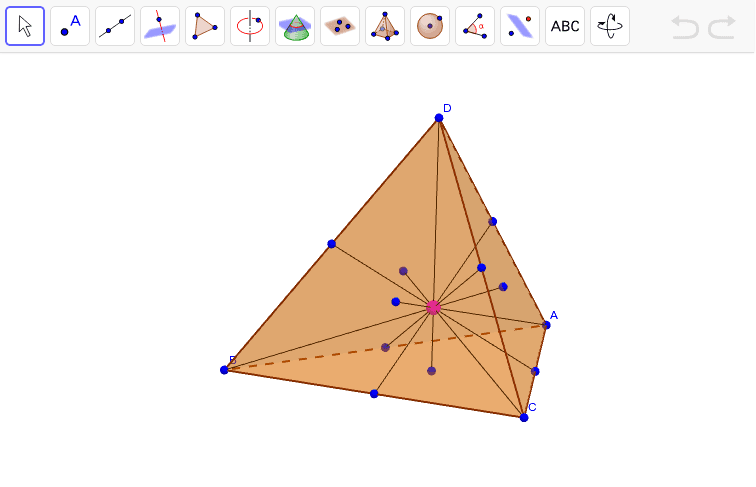 A line segment joining a vertex of a tetrahedron with the centroid of the opposite face is called a median. A line segment joining the midpoints of two opposite edges is called a bimedian of the tetrahedron. Hence there are four medians and three bimedians in a tetrahedron. These seven line segments are all concurrent at a point called the centroid of the tetrahedron.